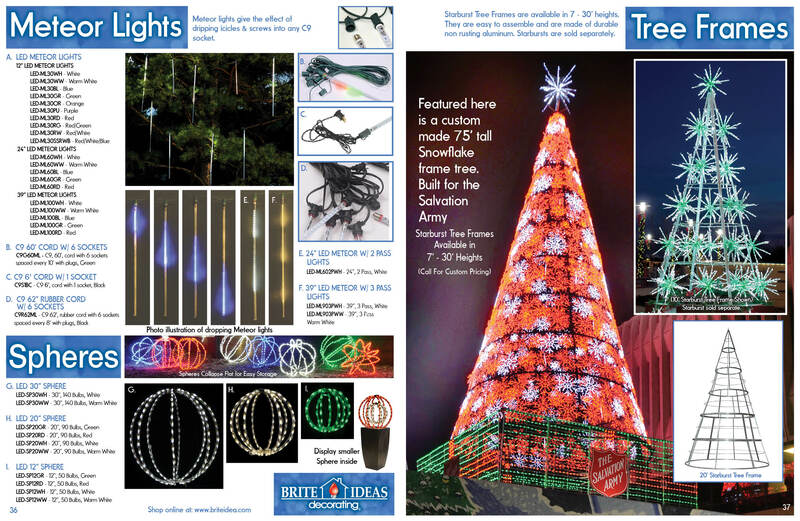 Cutting edge products and inspiring designs are the focus of all our Brite Innovations. 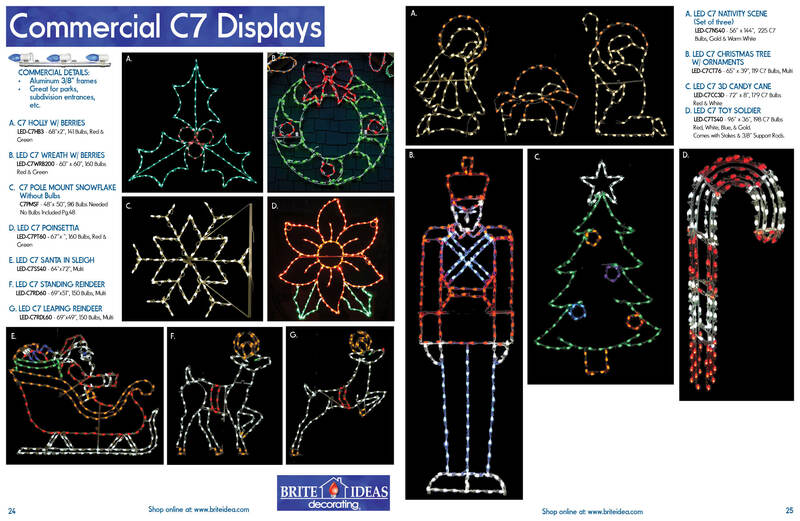 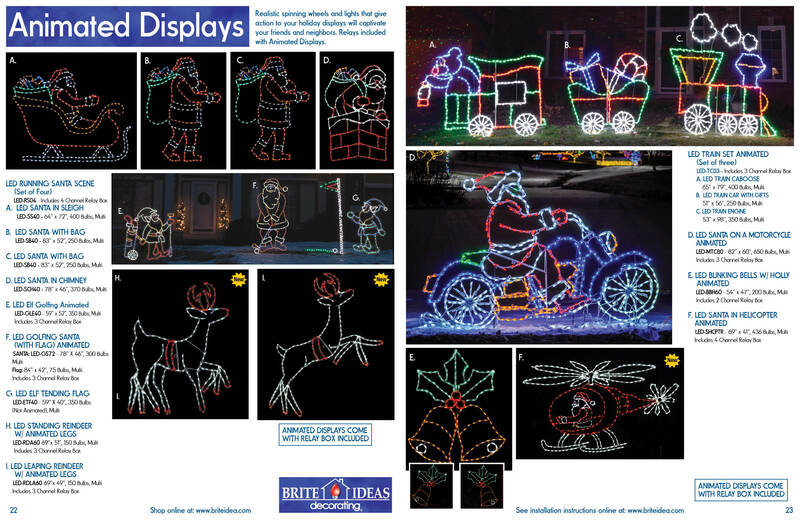 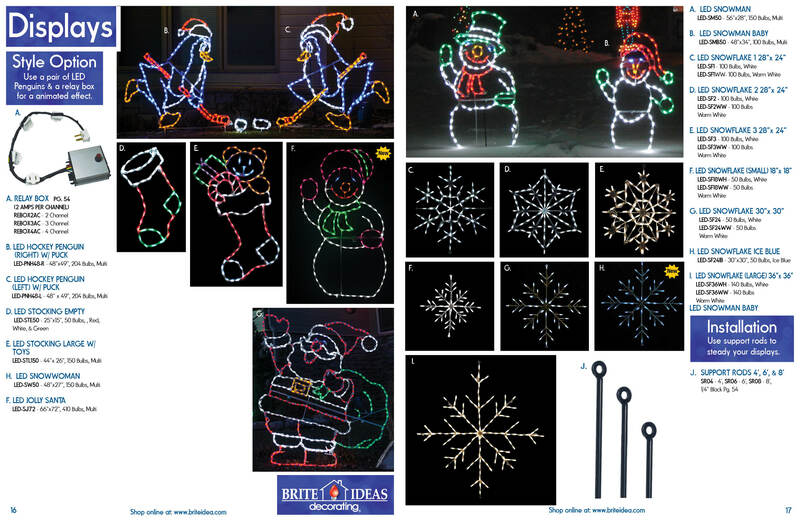 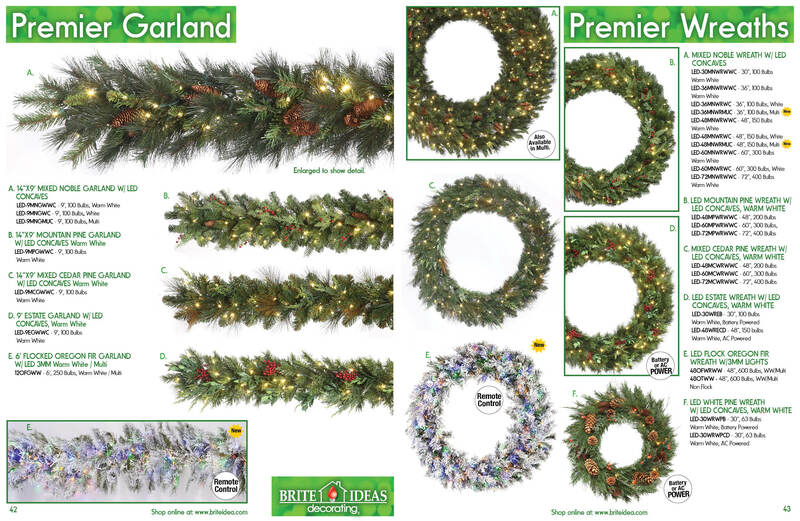 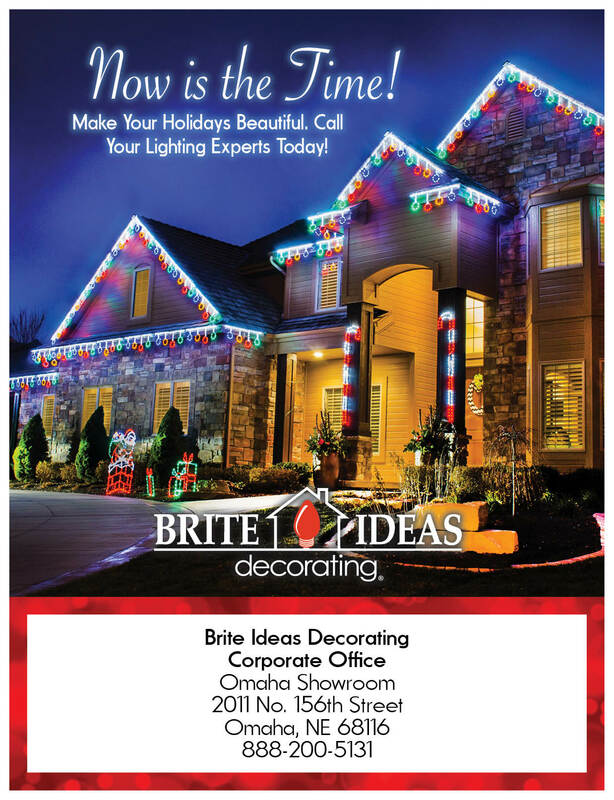 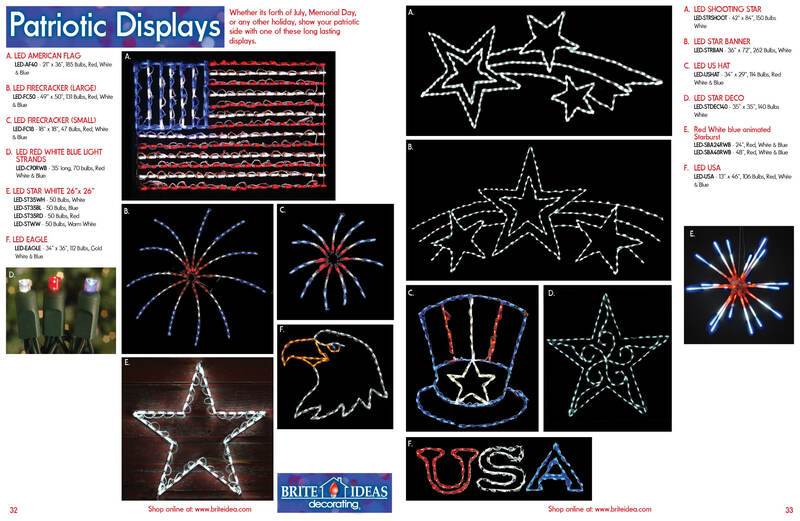 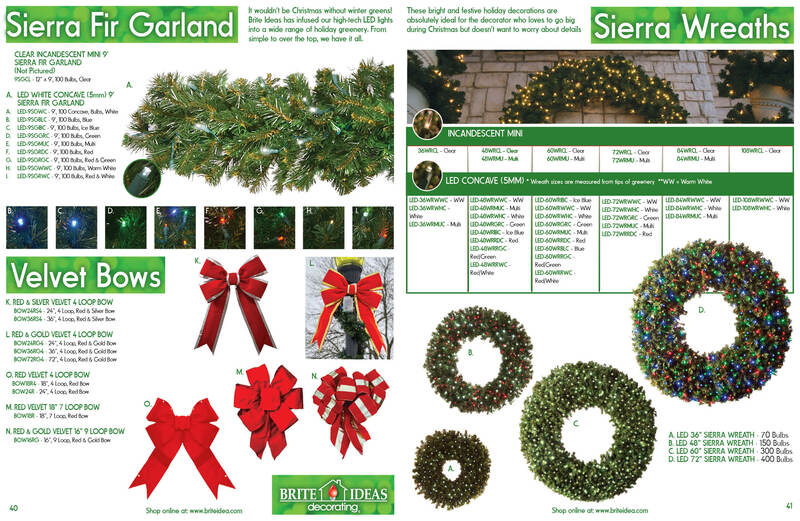 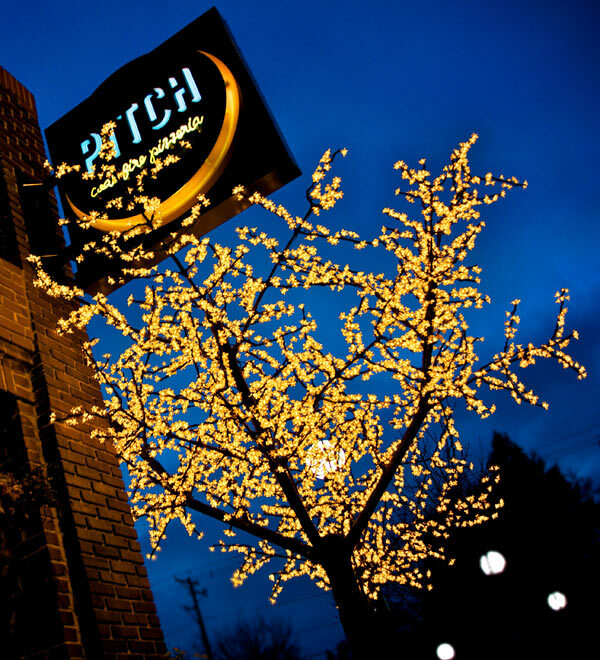 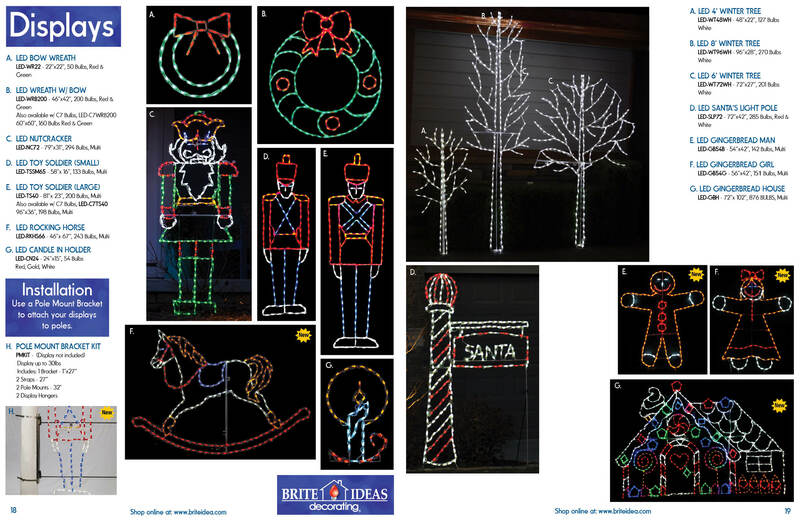 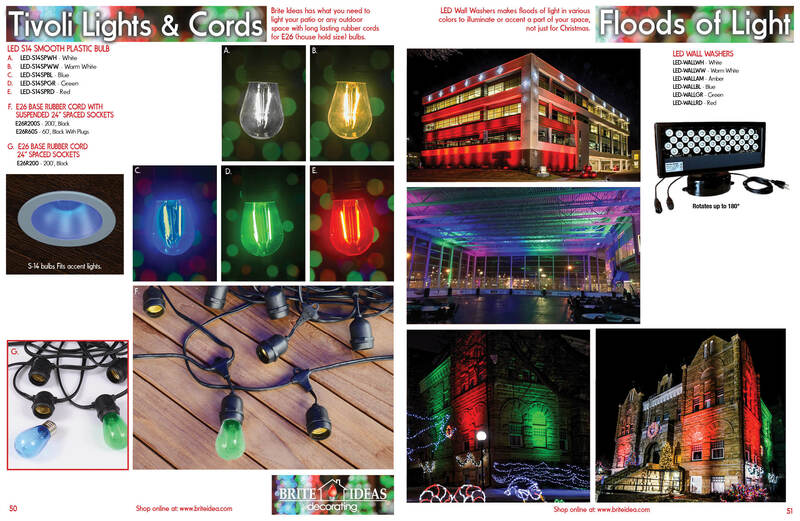 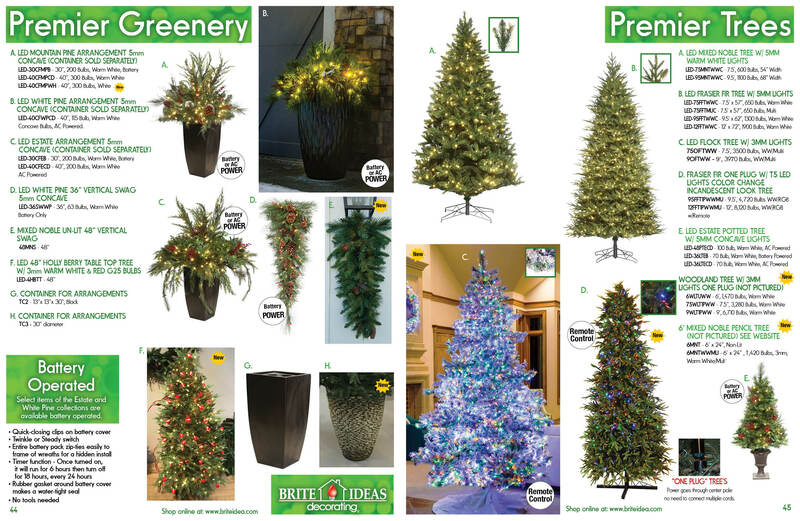 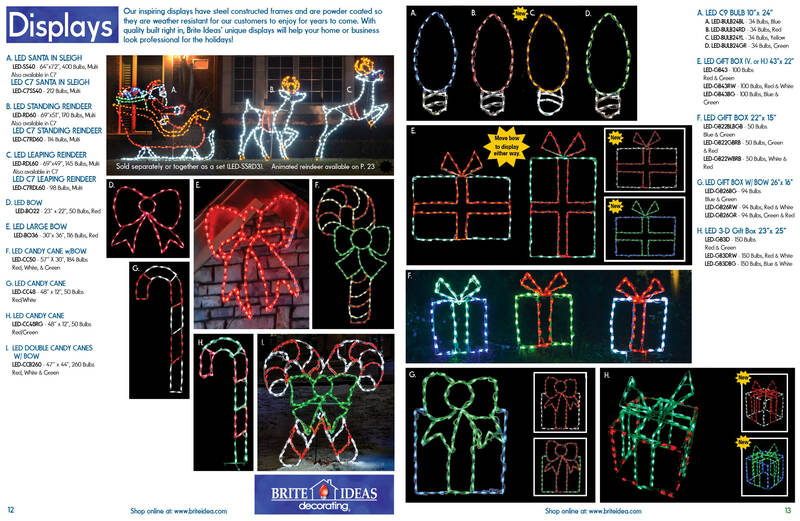 With quality built right in, Brite Ideas' unique products will help your home or business look professional for the holidays! 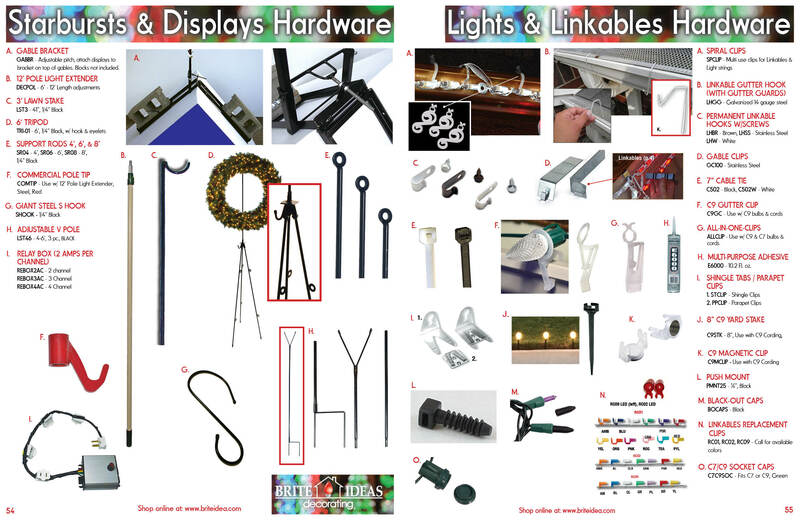 Powder coated, steel constructed frames form a durable, weather resistant and long lasting product your customers can use for years to come. 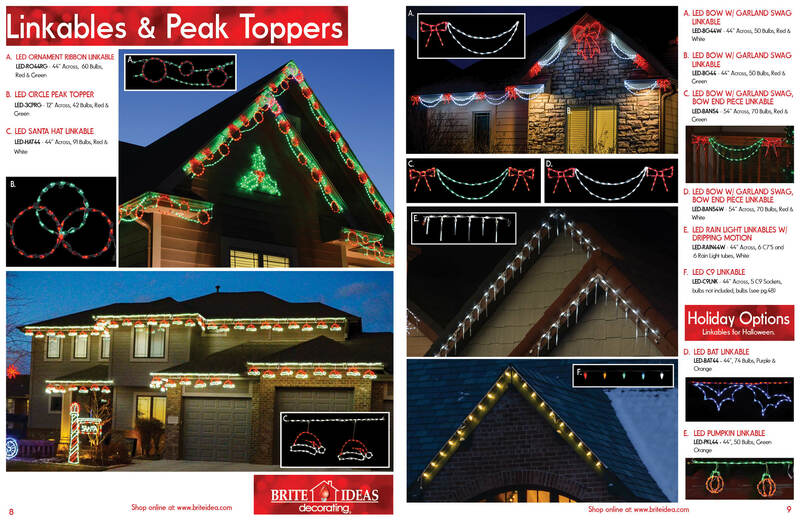 With quality built in, expensive replacement costs are virtually eliminated. 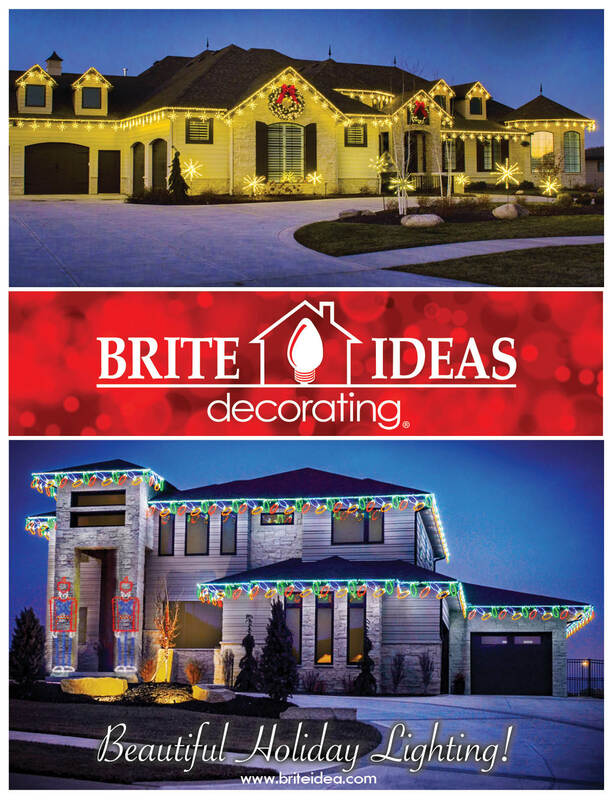 Light weight, curable and weather resistant, aluminum construction is Brite Ideas' newest innovation. 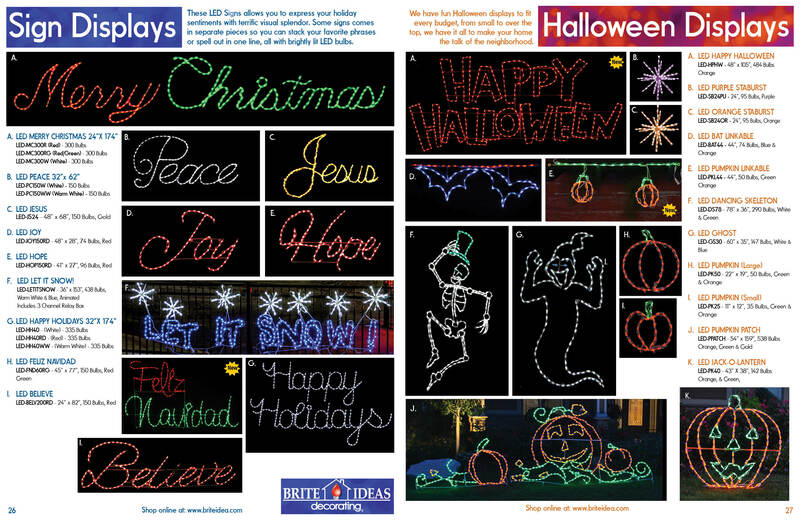 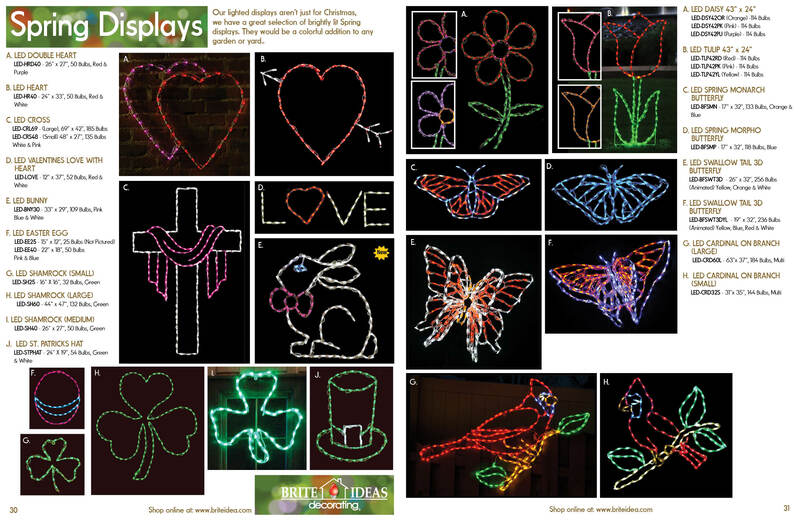 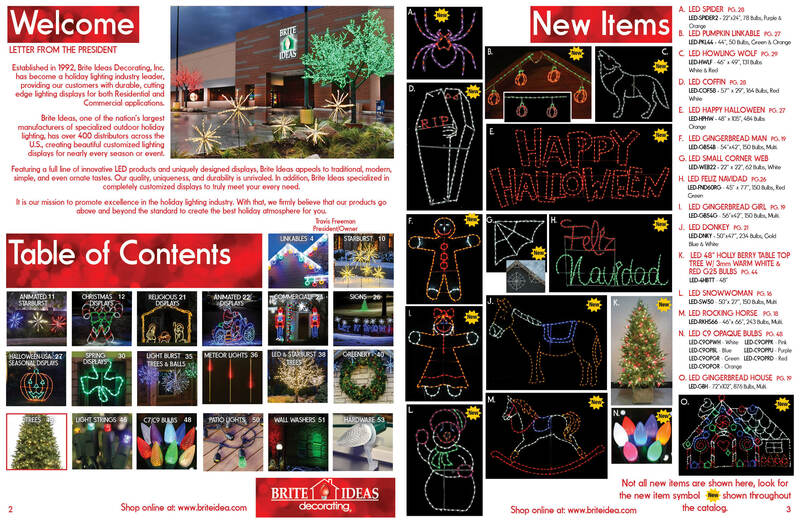 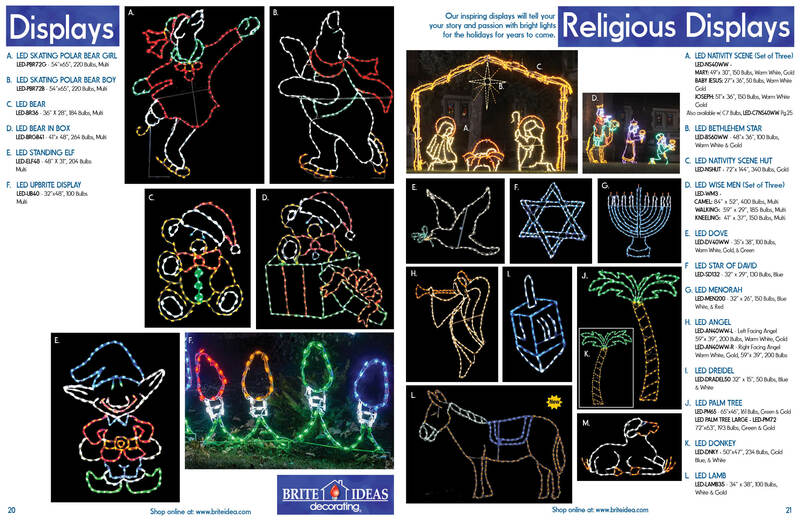 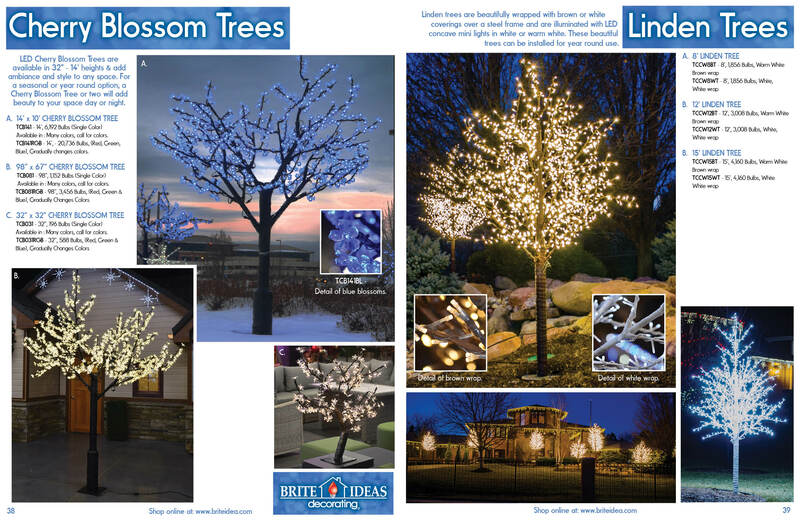 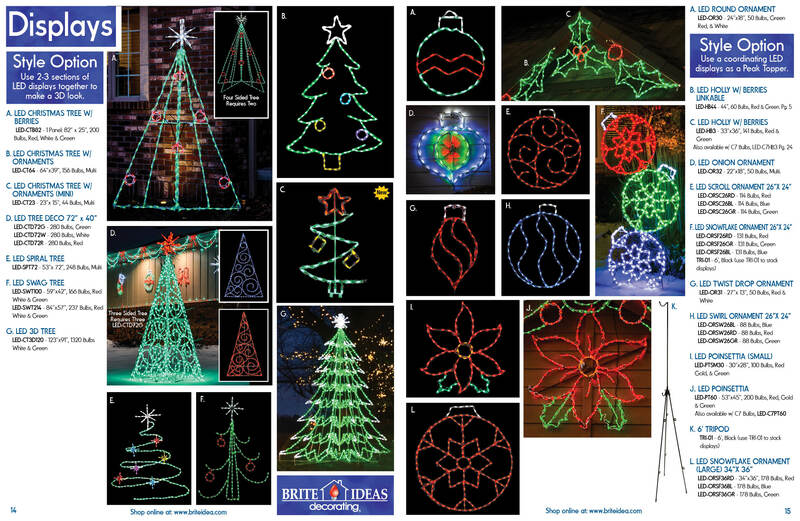 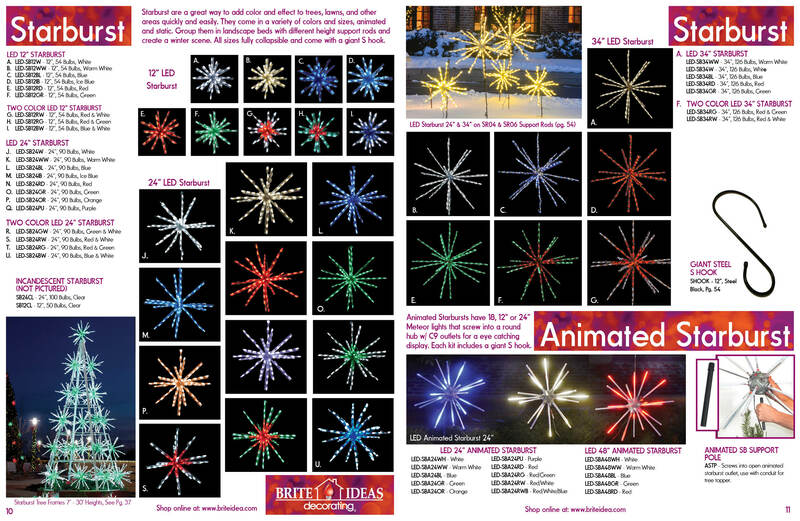 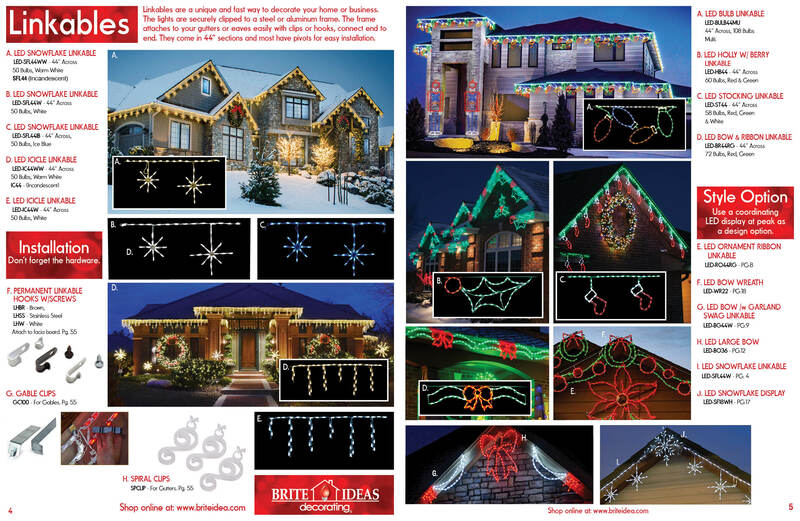 Brite Ideas' Linkables and Starbusts are testaments to our commitment to providing easy holiday lighting solutions. 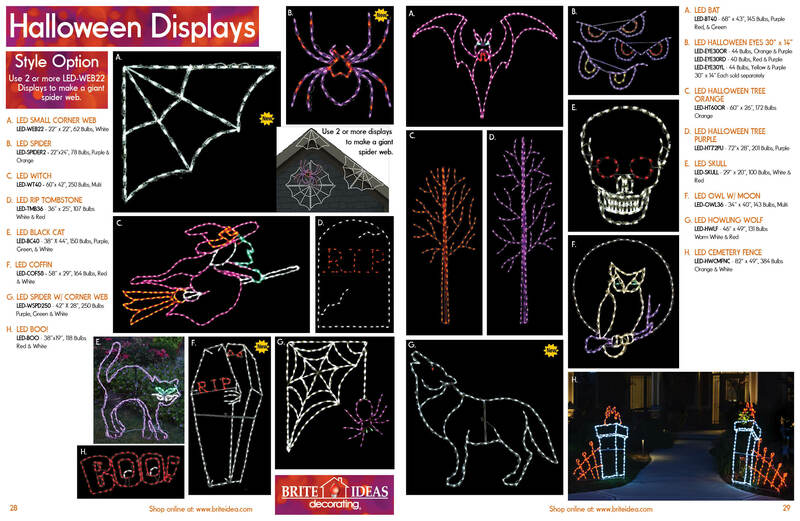 These products install in a quarter of the time as traditional displays. 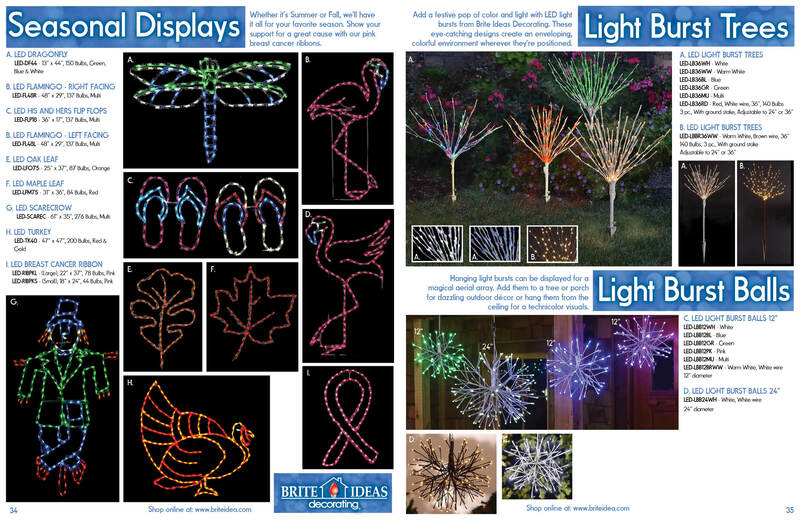 Brite Ideas' UV Protected, color injected poly clips allow fade resistant use season after season. 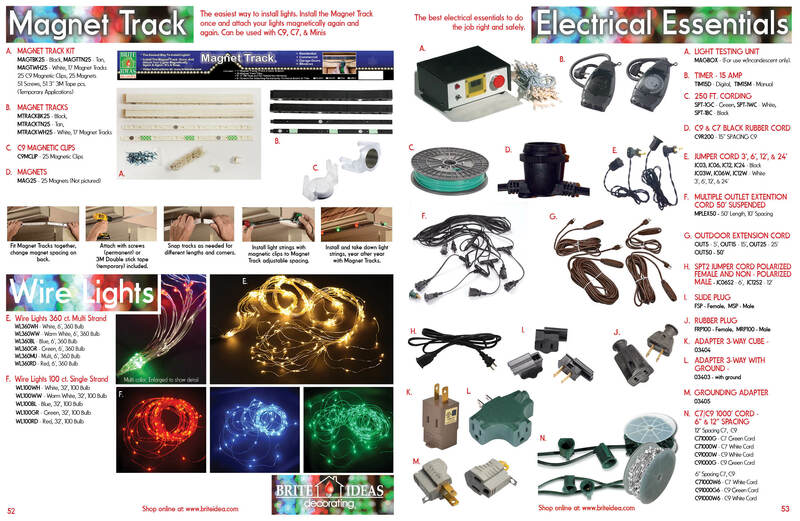 Changing bulbs is easy too. 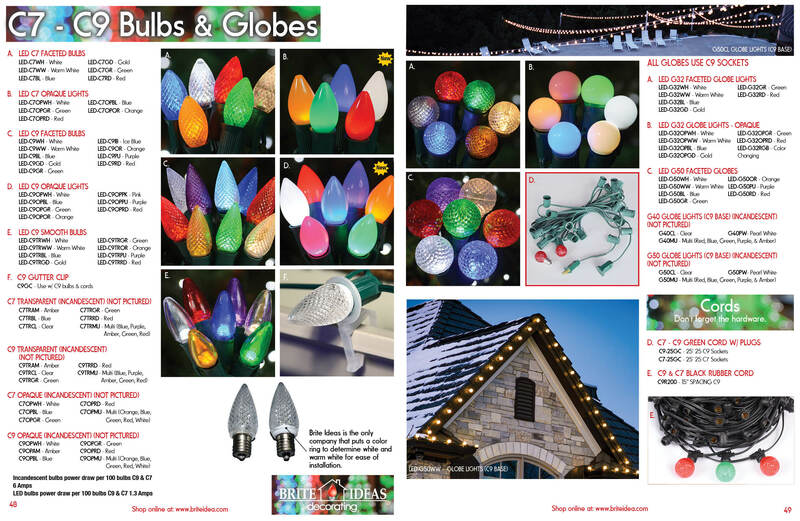 Because the clip provides the color, you will never need to search out a bulb match. 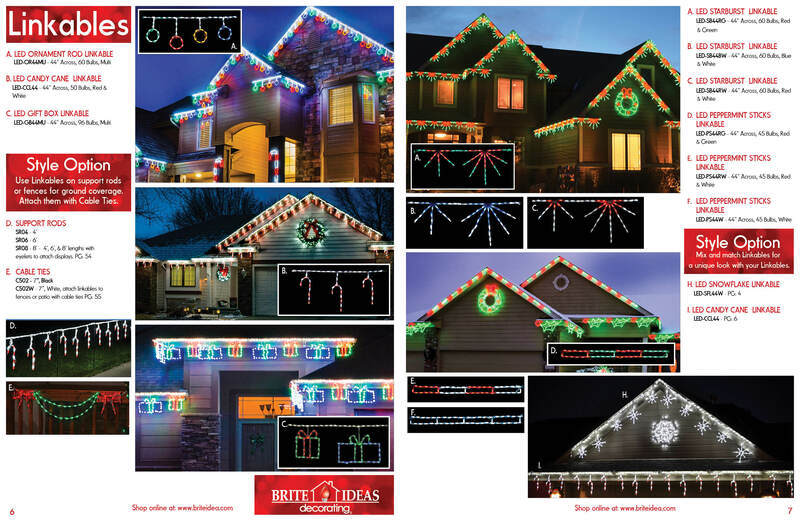 Simply snap the clip on the steel frame and you have a uniform, perfectly lit display that lasts! 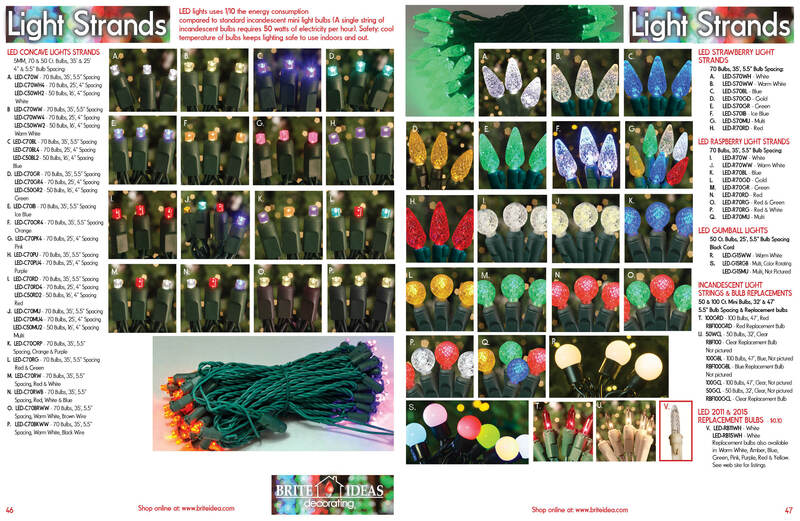 LED's or Light Emitting Diodes are small but intense lights developed for their energy savings, longevity, and brilliance.